the star trilogy "Answering a call of distress, the knight Michael finds the king of Gladur Nock surprisingly reluctant to be rid of the shadow of fear the dragon casts over his land. ... he meets Princess Aina, a warrior maiden who first imprisons men and then trains them to do battle against the dragon. 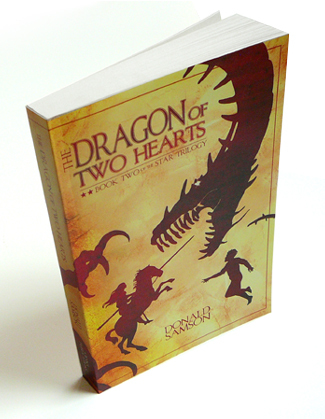 ...what chance does he stand anyway against a ruthless, violent, and remorseless dragon?" Thus continues the tale of the Dragon Boy.